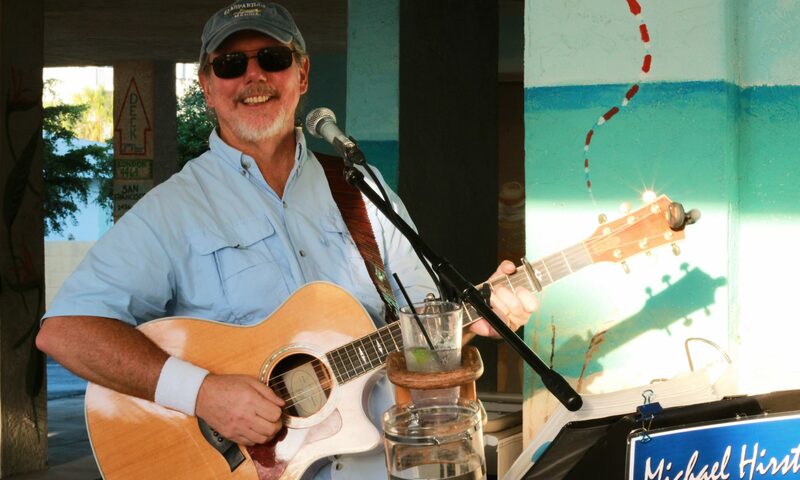 Michael Hirst regularly performs at Fisherman’s Village and provides live entertainment for restaurants throughout Southwest Florida (Punta Gorda, Boca Grande, Venice, Sarasota, Fort Myers, and Naples). He also performs for local festivals/fairs, fundraisers, and private house parties. During the summer months, he spends a few weeks ‘Traveling North‘ to perform for his snowbird friends in the Northern US and Canada. 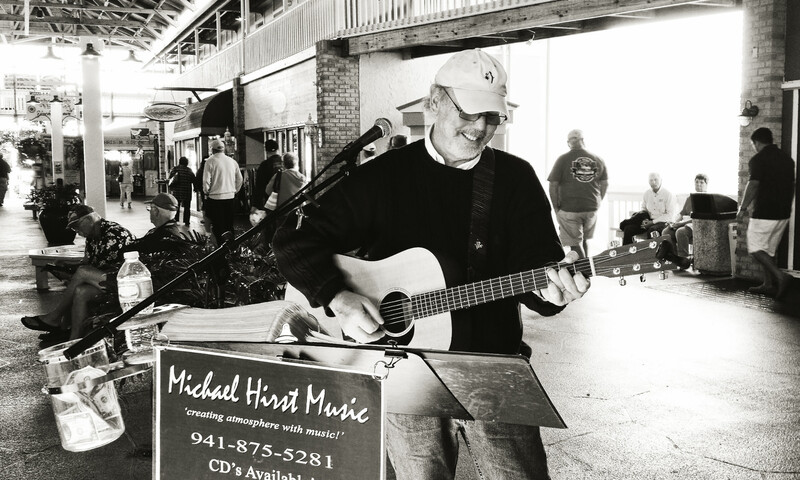 For all local (SW Florida) booking requests, simply email mhirst55@gmail.com or call 941-875-5281. For ‘Traveling North’ requests, please click here.